In addition to the nice futuristic design, the Kaifeng KF600 brings some cool features too. Besides the usual stuff (altitude-hold and headless mode) it also features optical flow positioning. While the frontal motors are orientated normally, the rear ones are inverted, making the propellers facing the ground. Due to this approach, the blade guards are as well installed reversely on rear. During night flights you will be guided by four LED lights (blue on front and red on rear). According to the advertised specs, the Kaifeng KF600 drone has up to 12 minutes flying time and about 80 meters control range. 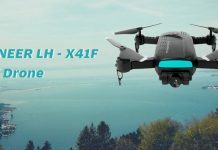 In front of the aircraft there a is built-in 720P camera with WiFi real-time image transmission. 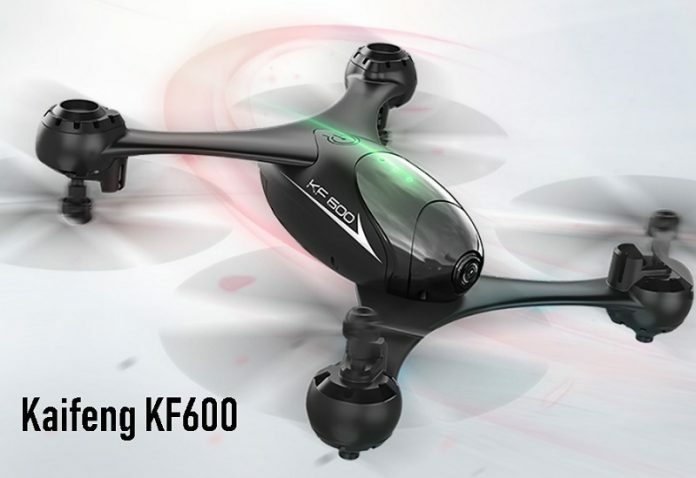 The Kaifeng KF600 quadcopter features gesture photo\video modes. About 80 meters control range. 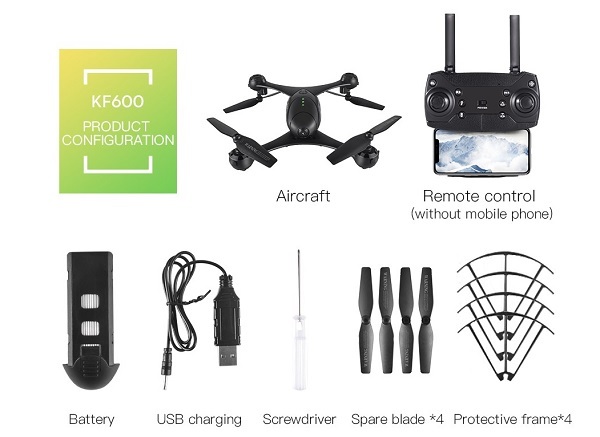 The Kaifeng KF600 is packed with similar transmitter as the Eachine E58. It also features dual-antenna system and retractable phone holder. You can also control the drone’s movements through mobile device APP by tilting your phone (gravity mode).